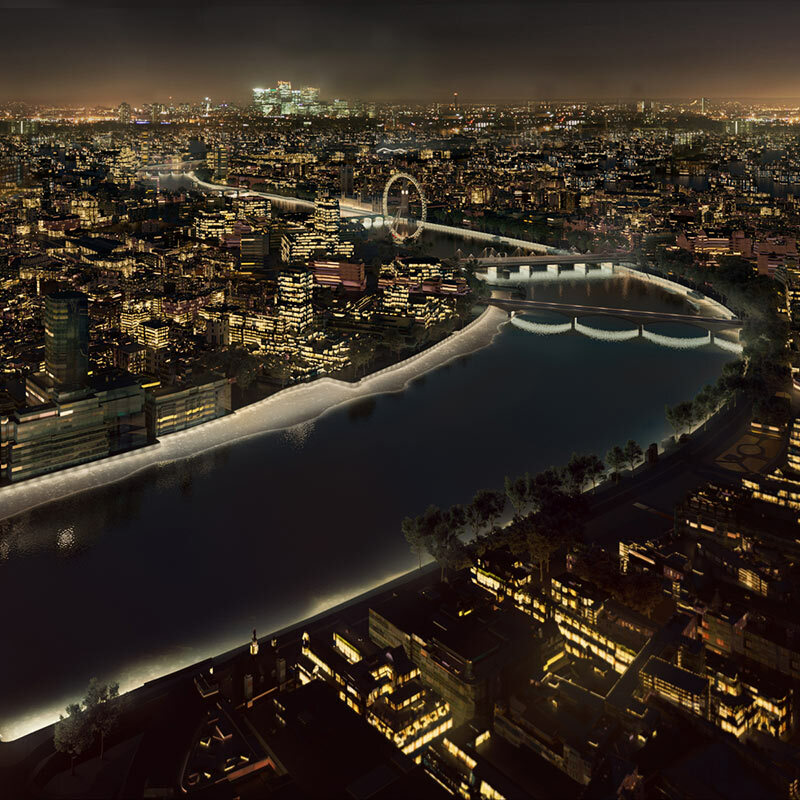 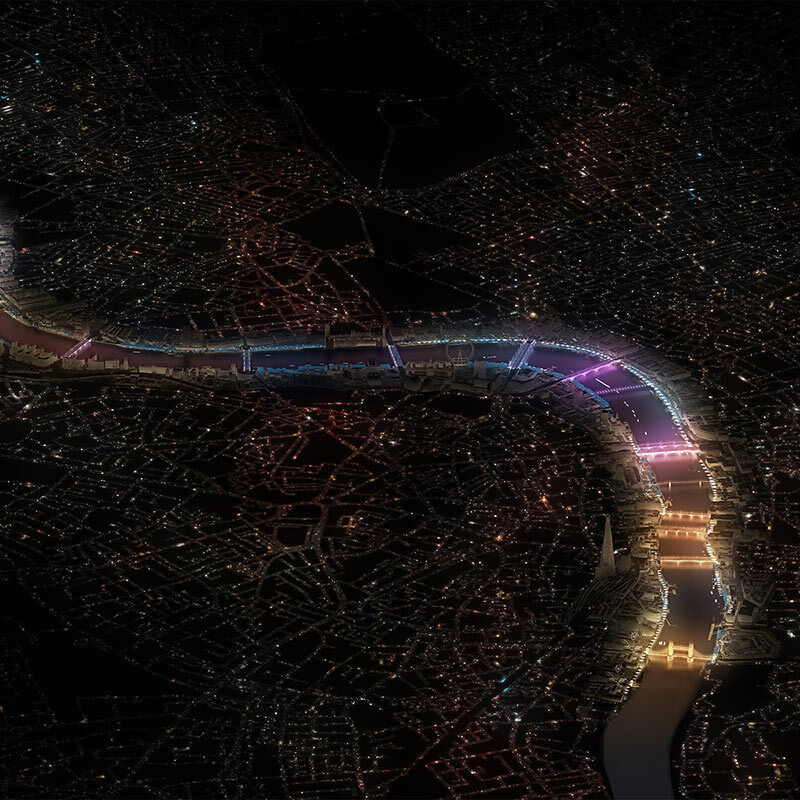 The Thames Nocturne forms a ribbon of light connecting Chelsea to Wapping. 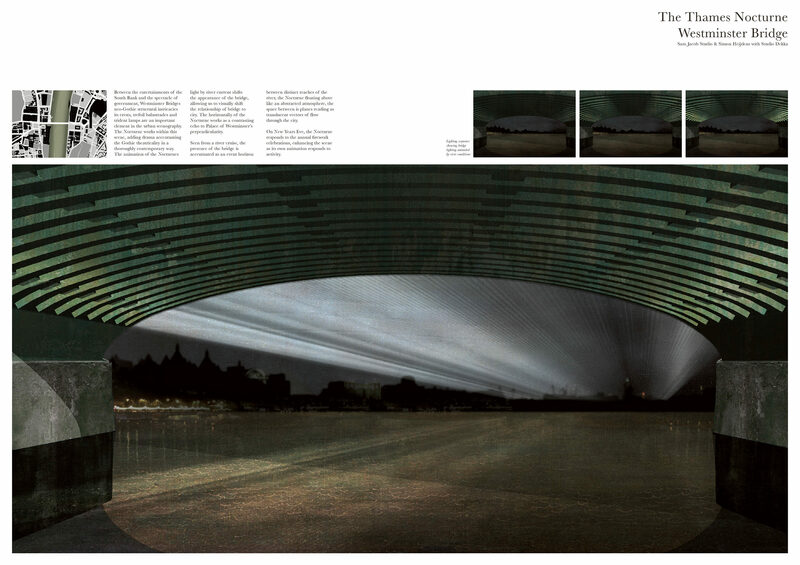 Light itself is used as a medium to create weaves of light forming a volume in space. 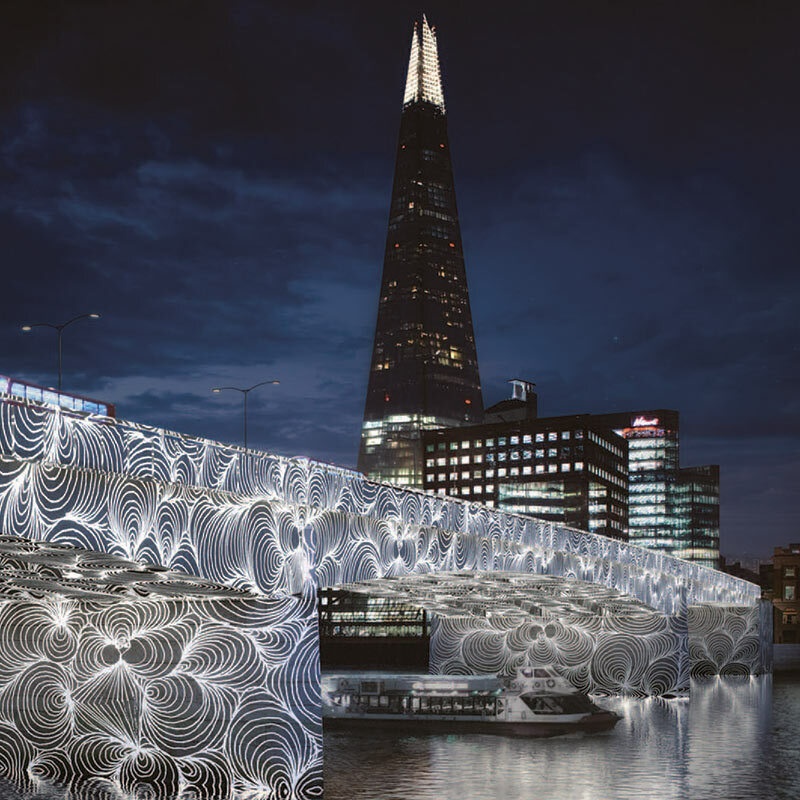 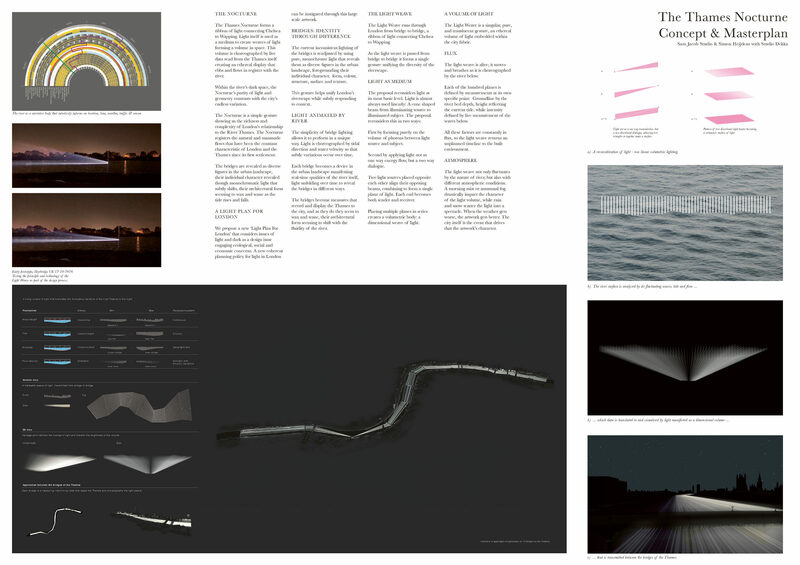 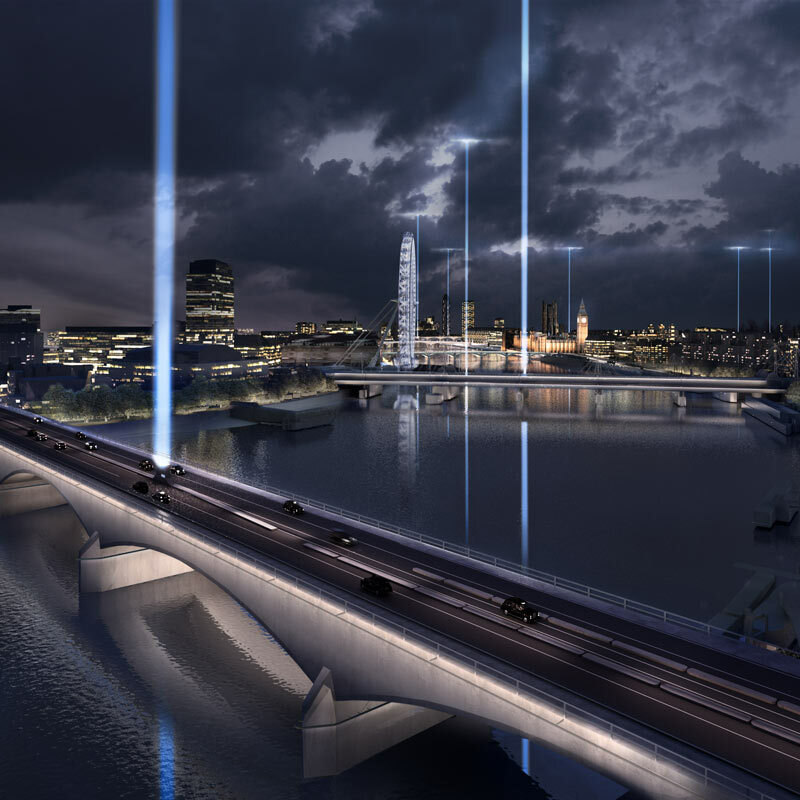 This volume is choreographed by live data read from the Thames itself creating an ethereal display that ebbs and flows in register with the river. 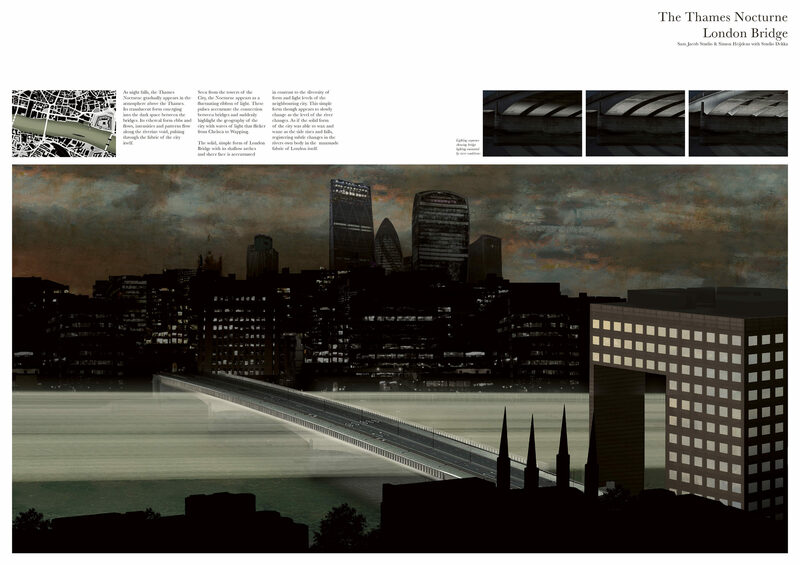 Within the river’s dark space, the Nocturne’s purity of light and geometry contrasts with the city’s endless variation. 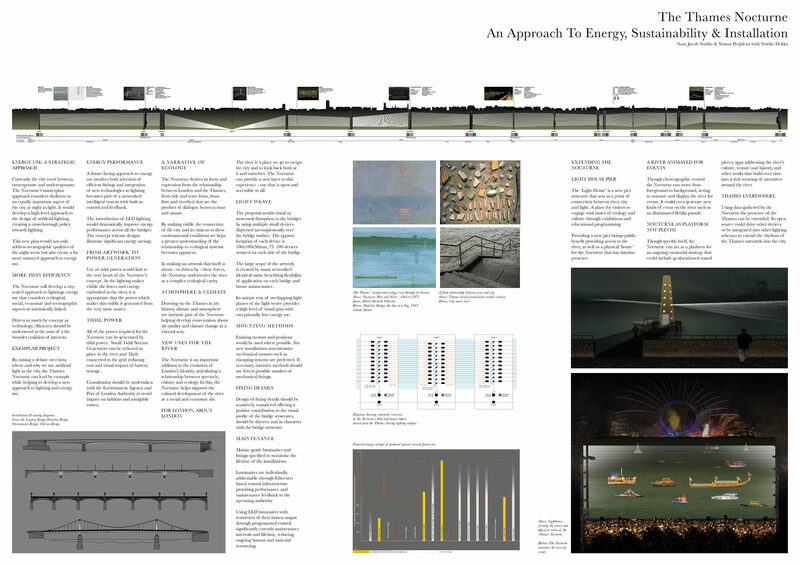 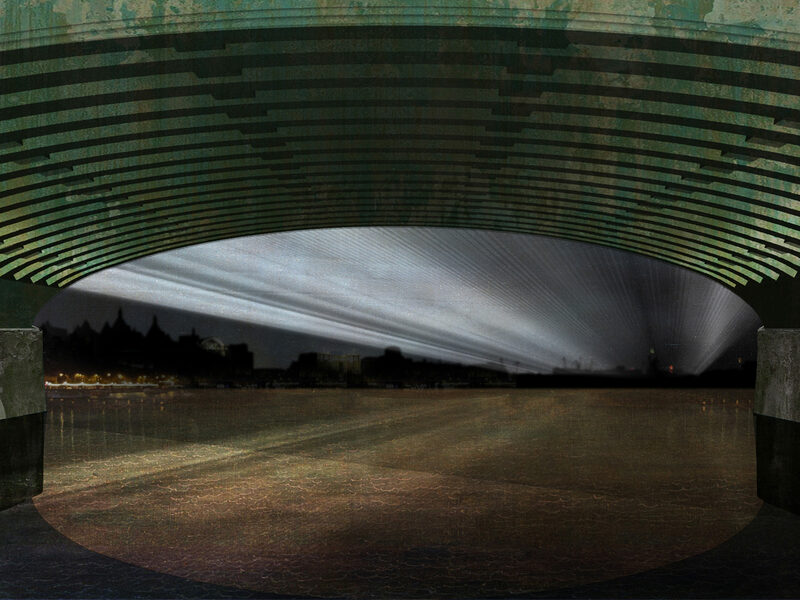 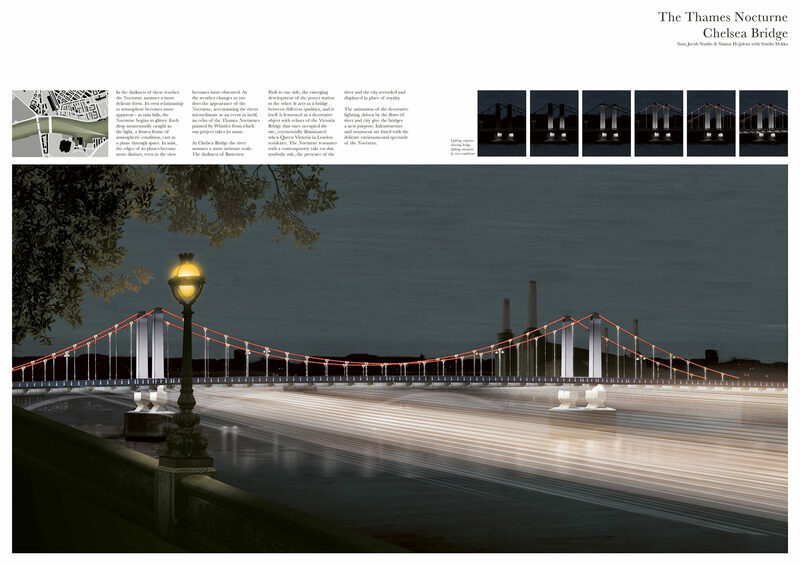 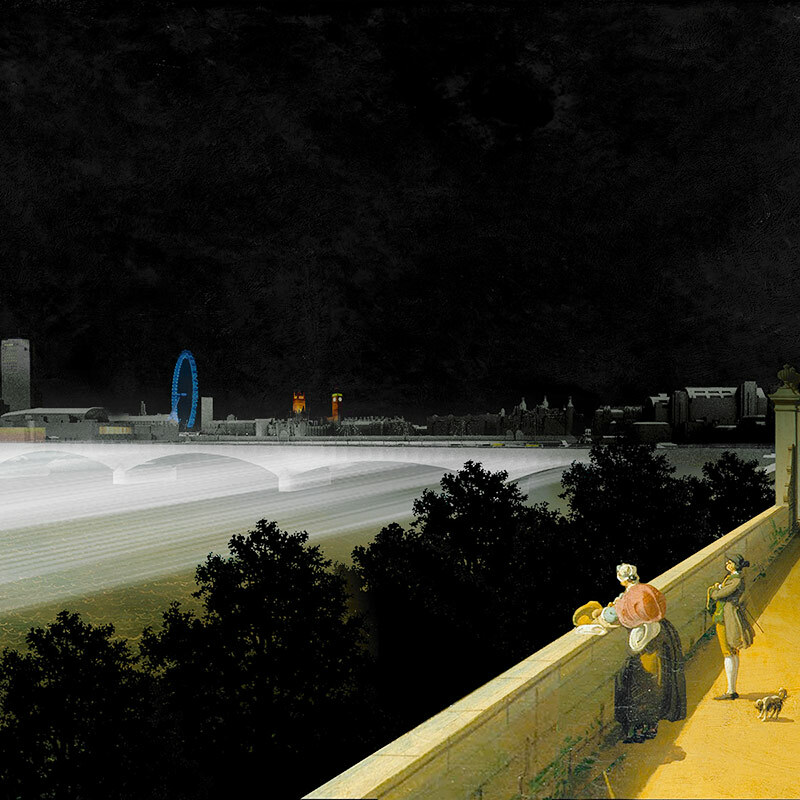 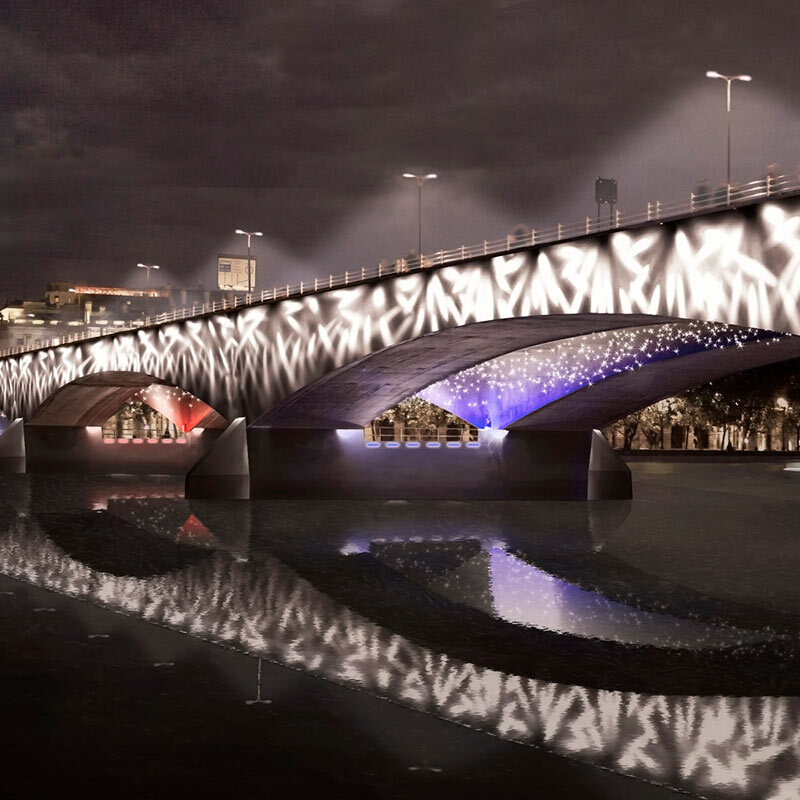 The Nocturne is a simple gesture showing us the richness and complexity of London’s relationship to the River Thames. 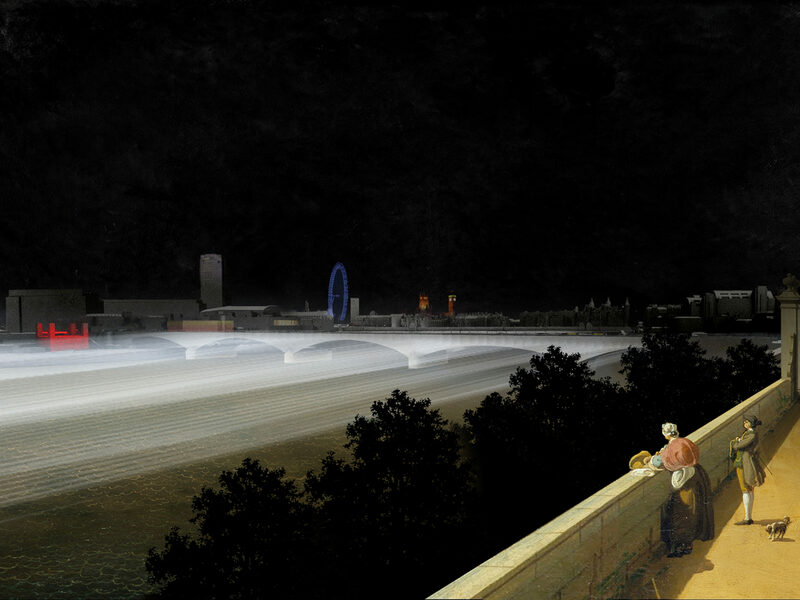 The Nocturne registers the natural and manmade flows that have been the constant characteristic of London and the Thames since its first settlement. 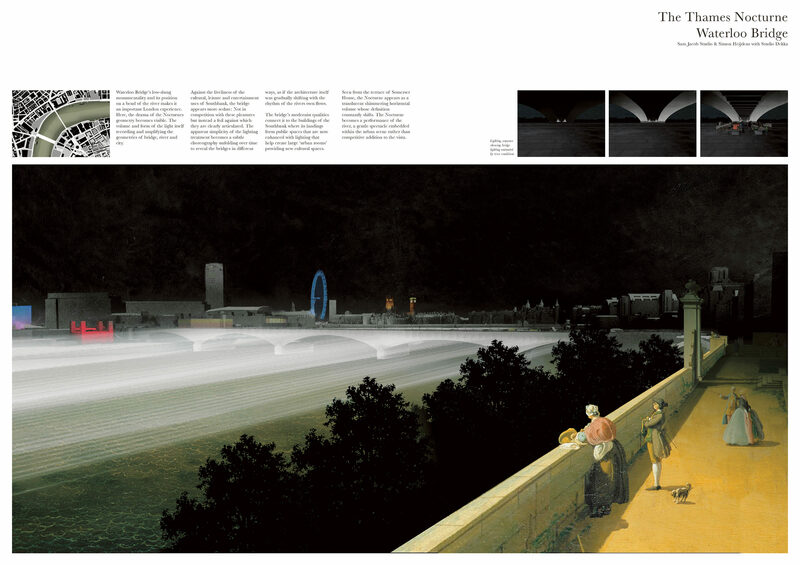 The bridges are revealed as diverse figures in the urban landscape, their individual character revealed though monochromatic light that subtly shifts, their architectural form seeming to wax and wane as the tide rises and falls.